Co-founder of Apple told why flying cars are hopeless. According to Steve Wozniak, the serial production of such vehicles would be unprofitable. Mass production simply will not yield the needed benefits because it is too expensive. Wozniak added that the safety factor on air routes is also overrated. In his view, the ground movement is no less dangerous than flying on flying cars. However, he noted another vulnerability of this type of air transport. Wozniak is confident that with flying in bad weather, these vehicles would have great difficulty. Ostracized from Wozniak was subjected to artificial intelligence. Co-founder of "Apple" Corporation is skeptical about the rise of the machines, and stresses that modern robots not only have surpassed human intelligence, but not even close to it. When it comes to talking about artificial intelligence, people usually imagine the high-tech industry — programming or robotics. However, the artificial intelligence is able to transform such a traditional sector as agriculture. Wired writes about a new development that make it more effective in growing one of the most common crops. About the technology discussed in the article that will be published in the scientific journal Frontiers in Plant Science. The authors have created a program based on smartphone, which can automatically and with almost absolute precision to identify diseased plants of cassava - the most widely grown root crop in the Ground. The most striking aspect of this technology lies in the fact that for neural network enough power smartphone. The researchers started from the Inception of the neural network v3 TensorFlow owned by Google library machine learning open source. Most neural networks need hundreds of millions of parameters that goes far beyond the capabilities of smartphones but for Inception v3 25 million. Thanks to this new program does not require access to large computing power. To train a neural network to recognize specific objects, you need to show her millions of images. It takes a long time, besides, no one has so many images of diseased cassava leaves. Fortunately, there is a bizarre trick called transfer learning: if you train a network to recognize certain types of objects, for the formation of the skill of recognition of others will require much fewer images. Due to the transfer of learning to the authors of the study turned out to be enough to "feed" the network 2756 images of leaves of cassava from the field in Tanzania, after which they began to teach her to recognize the damage from such diseases as brown streaking of cassava, cassava mosaic virus and destruction of ticks. In the end, the program learned to identify a brown leaf spot with 98% and the infestation of red mites — with 96% accuracy. Agricultural technology based on artificial intelligence, are undergoing the testing phase. Special algorithms evaluate the germination of seeds, looking for pests and predict weather conditions. According to the materials: hightech.fm. 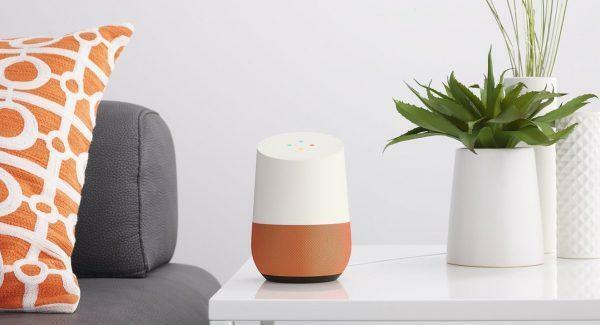 Google Home has a great functionality and is the most popular column in the market. And now the owners of the gadget will be able to use another voice command: "Find my phone". The new feature acts a bit more complicated than the existing "Where's my phone" and "Call my phone". Now column Home will be able to increase the volume on your smartphone during a call. Moreover, people will hear a call even if the phone was in silent mode. Google Home probably uses user identification by voice, to make sure the rings need a smartphone. This is especially useful when the user has more than one house. Currently, a call to the phone in silent mode works only on devices running Android. For Apple, this feature will be implemented later. In addition, the new command does not work with tablets – hence the name. The good news is that the feature is compatible with Google Home, Home Mini and Home Max.